While Ko Phi Phi Don might have been a little different from our normal choice of destination, Phuket was taking it that extra step into another world. Partly we were there out of convenience: Phuket is such a popular party destination that it has good, cheap flights that worked out well to take us back to Singapore. But also we just wanted to see what colour the (undoubtedly vomit-stained) grass would be on the other side. We typically avoid the thumping party spots: if I want to go get drunk, I figure I can probably do that perfectly adequately without generally needing to travel much farther than down the street. So I’ve never really understood quite why people fly so far for a series of nights about which they’ll remember so little. And we typically avoid places full of other tourists: it’s harder to enjoy the beauty or the majesty or the subtlety of a magnificent destination if you’re surrounded by throngs of people telling you how beautify or majestic or subtle and magnificent it is. Especially, we try to avoid places that are typical package travel destinations for people who haven’t travelled much before: it’s even harder to enjoy the good things about your surroundings if you’re breathlessly being told that you’re currently standing smack bang in the middle of the best place your new friends have ever seen. A fact whose significance (out of politeness you should probably omit to observe) is necessarily somewhat diminished, since, though they are most certainly well-meaning and of course perfectly entitled to experience the joy of new places with as much enthusiasm as they can muster, they haven’t really seen many other places to compare it to. 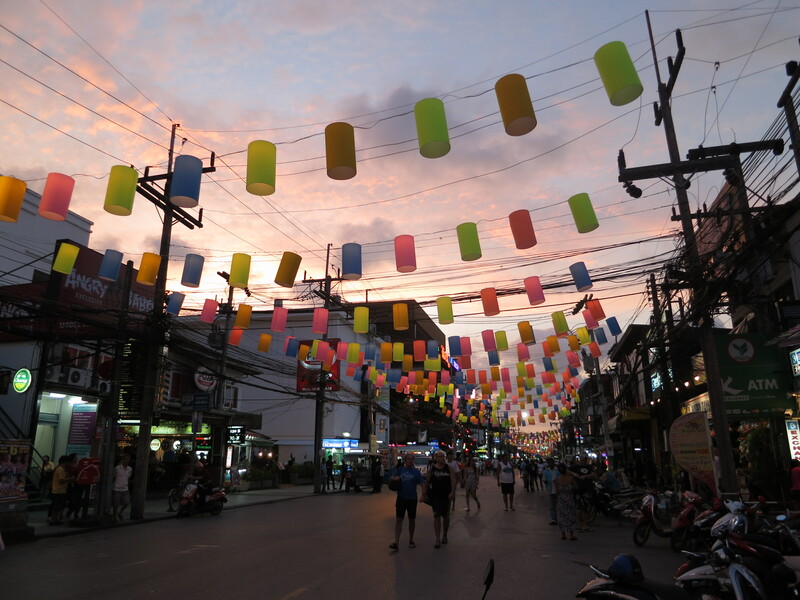 Anyway, we were staying in Phuket Town, which is not the crowded party area. I probably needn’t mention by this stage that we’d hired ourselves some scooters, and thus equipped, we headed over to Patong. Which is the crowded party area. 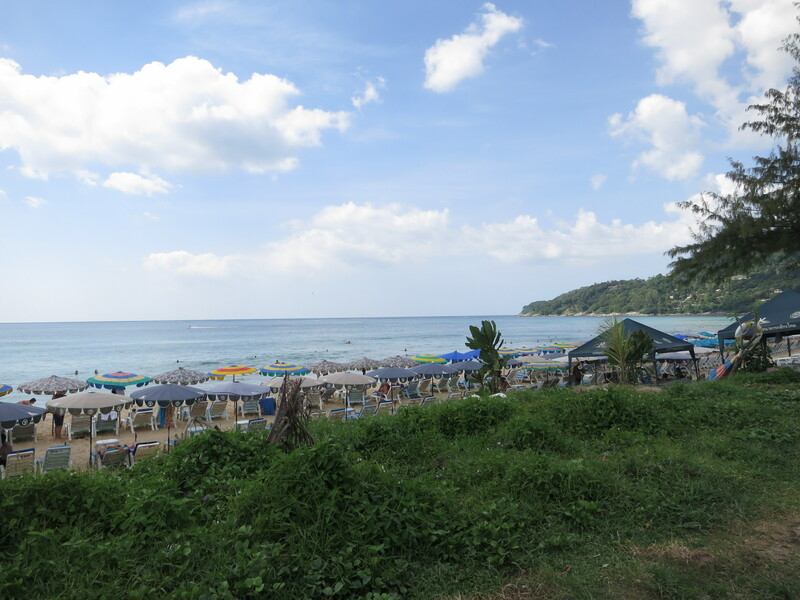 Personally, I’ve never really much enjoyed beaches full of row after row of sun-lounge things and umbrellas and so on, but apparently once in Patong I was in the minority. I’ve never been that keen on tourist strips that are full of bars and restaurants each of which is basically a tacky imitation of some better-known Western brand. But again, the other tourists of Patong have outvoted me heavily with their steady influx of foreign moolah. Basically, the town, for me, resembles nothing more than a bad amusement park, but with fewer rides and more alcoholic beverages. And scantily clad “women” roaming the streets. We were scooter-bound, as I mentioned, so we weren’t there for a drinking session, and given the quality of roads, headlights and other drivers, we weren’t hanging about much after sunset. So we didn’t see the party really in action. But we could see it slowly getting ready to warm up. We could see where it was going. And we could see that we were happy enough to be going somewhere it wasn’t. The rest of our experience of Phuket Island, though, was surprisingly normal. 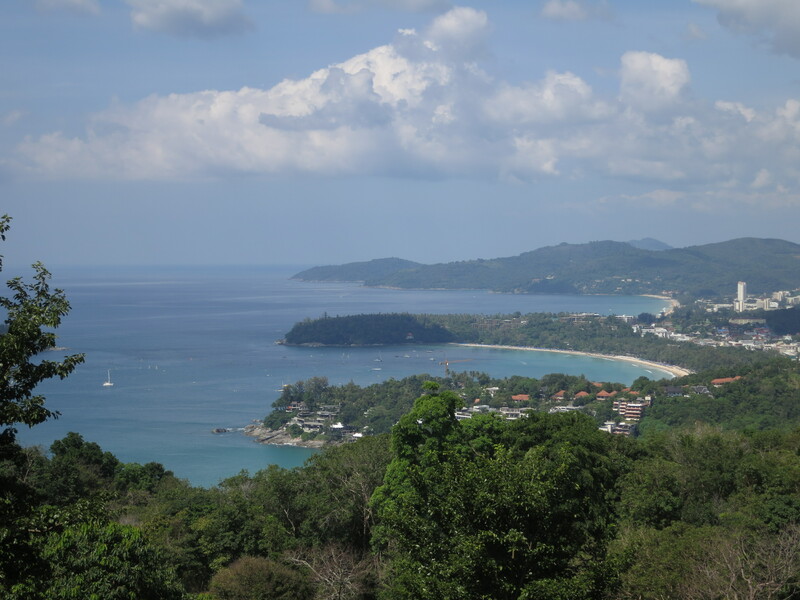 Get as little as a couple of kilometres up the road from Patong, and the beaches are near pristine, and almost empty. 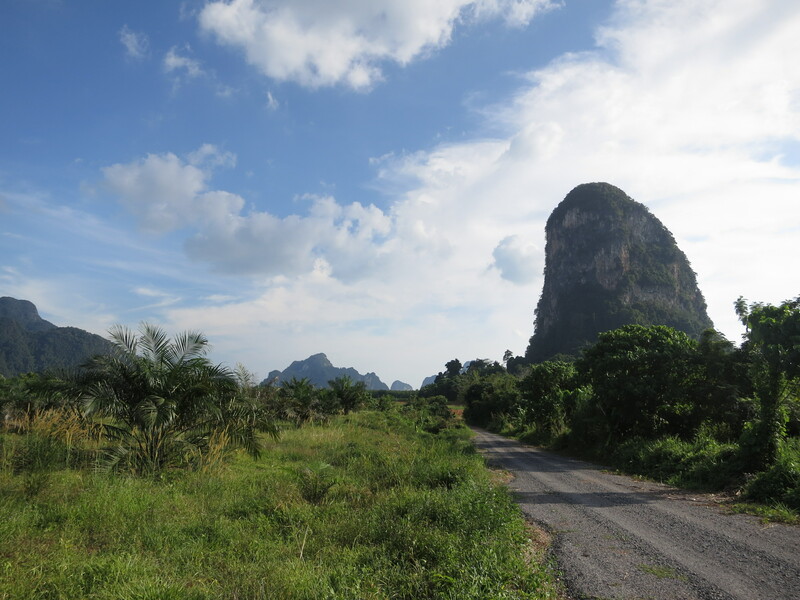 Explore the back roads of the north-west of the island, and right up until you get close to the international airport, you could be in any other secluded corner of an out-of-the-way Thai holiday escape. Which was nice, because it meant my last experience of Thailand before my brief return to Singapore on my way back ‘home’ to Australia was the Thailand that I like to remember: beautiful, fun, and even mostly sober. This entry was posted in Travel and tagged phuket, thailand by Sam Roberton. Bookmark the permalink. Phuket looks like a lovely place to spend a couple of days! Sounds great that you can be there and not feel like you are in a crowded tourist trap! I’ve had so many trips to Phuket and it’s my number 1 place to relax. I’ve travelled all over the world but whenever it’s a real break that I need, I always find myself heading back to Phuket. It’s so much more than just a party island which so many people think of it as. With so many hotels in Phuket to choose from it’s easy to escape the hussle and bustle of Patong and find a quiet beach area to escape the world in. It’s truly one of the great holiday destinations in Asia.